The Eugene Emeralds were on their way to a 13-5 victory in June 1987 and helping them get there was Pete Alborano. Alborano went just 1 for 6 that day. But that one hit was a grand slam, capping off the victory in the ninth inning. Alborano hit that grand slam in his second professional season. He went on to play in seven. In that seven-season career, though, Alborano never got the chance to hit a grand slam in the majors. 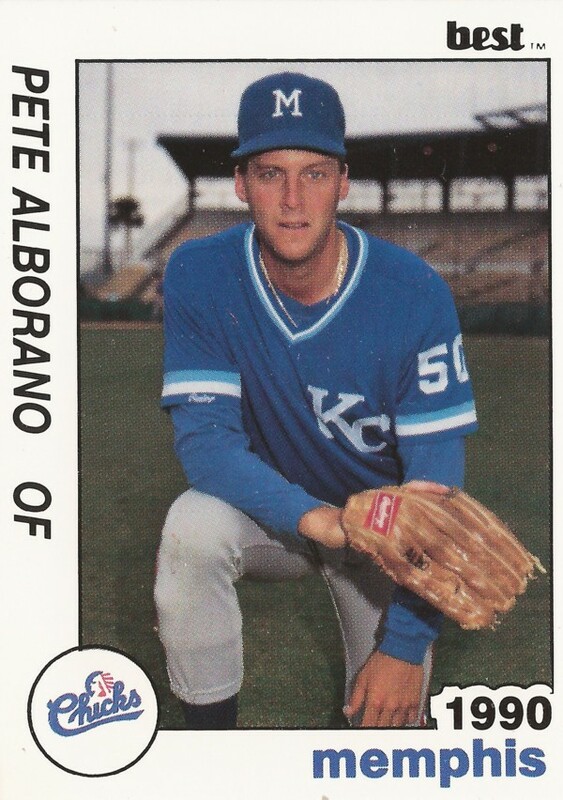 Alborano's professional career began in 1986, taken by the Royals in the 29th round of the draft, out of Brooklyn College. With the Royals, Alborano started in the rookie Gulf Coast League, hitting .277 in 45 games. He then moved to short-season Eugene for 1987, getting into just 30 games, hitting .294. In late-June 1987, Alborano knocked in a run with a triple. Alborano played 1988 at single-A Virginia, hitting .305 in 69 games. He then made single-A Baseball City in 1989, and got a 15-game look at AA Memphis. At Baseball City in 1989, Alborano hit .337 in 77 games. He also knocked in 40 and the outfielder earned Florida State League All-Star honors. When he was promoted to AA Memphis in early August, Alborano's average led the league. Alborano returned to Memphis for all of 1990, hitting .255 in 81 games. In a May game, Alborano went 3 for 3, knocking in two. It was back to Memphis again for 1991, but Alborano got into just 51 games. It was his final year in the Royals system. Moving to the Phillies for 1992, Alborano played at AA Reading. In 52 games there, he hit just .232. In one June game, though, he went 4 for 4. One of those four was another home runs. It was one of Alborano's final games, his career ending by month's end.